Captured here in this visually appealing and lovely picturesque view. 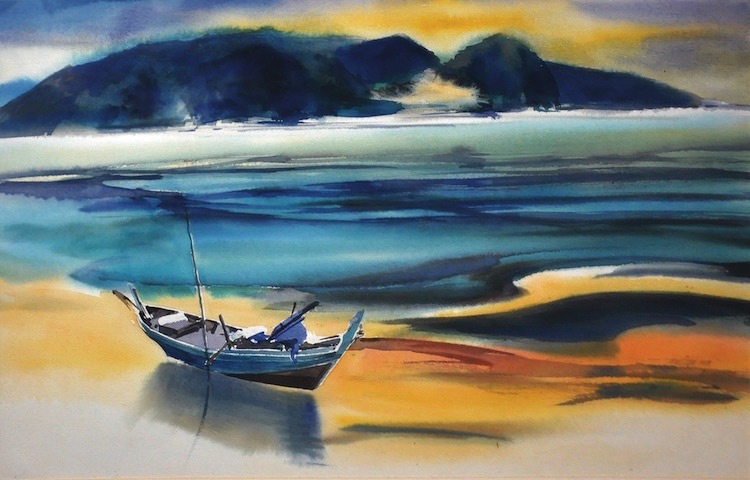 With a cool wash of colours, Long Thien Shih illustrates everything charming about the calm sea in one piece through expert layering of colours and texture, for which he was known. There is spontaneity in his strokes, a more relaxed approach to his subjects, but the results are incandescent.